AMB Blog Tour – Winners! One more week to go on the American Made Brand blog tour. I hope you have been following along and enjoying your virtual visit to the 50 States. The period for my give-away is closed and I would like to announce the winners! I used the Random Number Generator tool at random.org to help me randomly select the numbers associated with your comments. I will be sending each of you an email shortly to get your mailing addresses so I can mail your gifts on Monday. I want to thank those of you who are following my blog. It is a real honor to have you here, and I truly appreciate your time. For my new followers, welcome, and I hope you will find information that interests you in my posts. 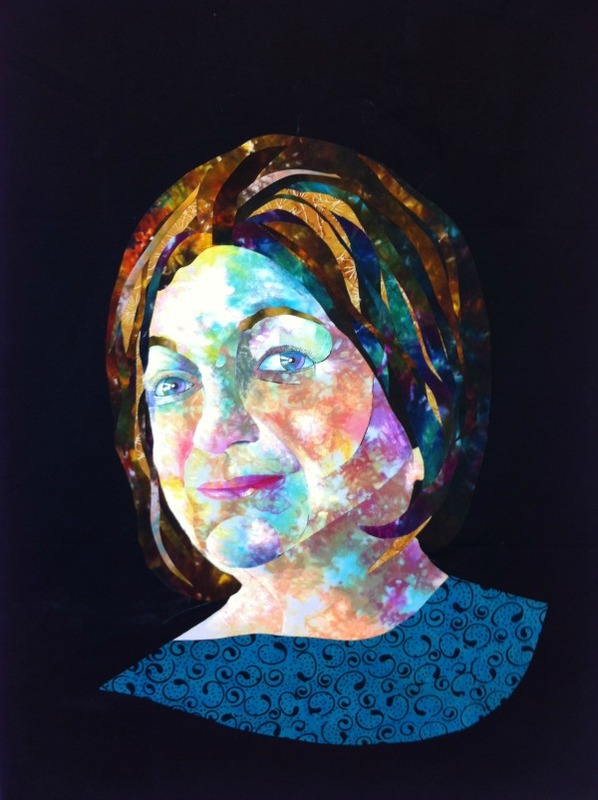 If there is a subject you would like to learn more about, or you would like to suggest a post, please ask! If you are a blogger and would like to write a guest post, that would be great, too. Just contact me. Be sure to visit the states still remaining on the tour for more chances to win! 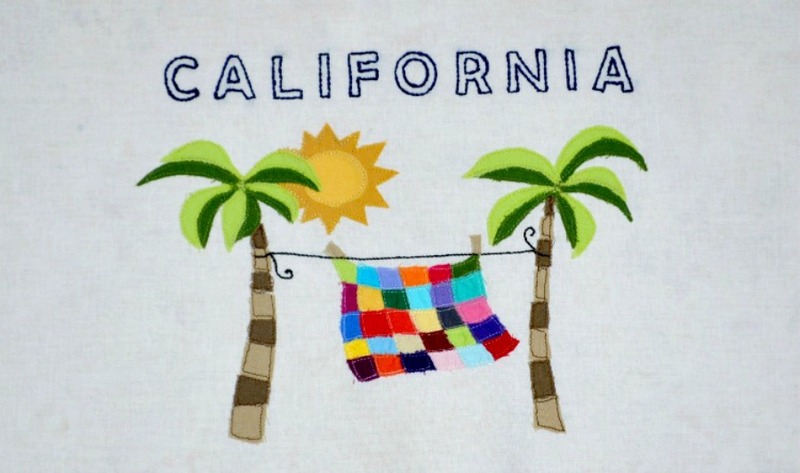 AMB Blog Tour – Welcome to California! 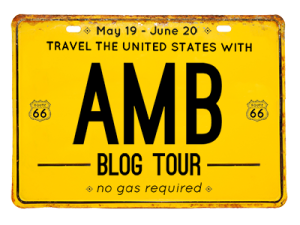 Today the AMB Blog Tour is visiting California and Minnesota. 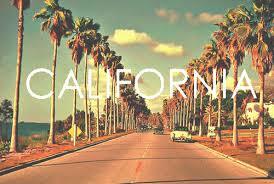 Welcome to California! 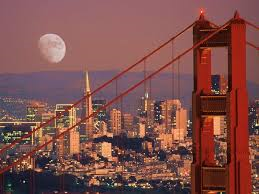 My name is Joan Lucchese and I live in the San Francisco Bay Area, one of the most picturesque regions in the United States. California is a State filled with diversity. Home to more than 40,000,000 people, California is a “minority majority” state, with 58% of its population being Asian, Hispanic, Native American or other groups. 26% of its people were born outside the U.S. This provides us with a very rich cultural environment. California is also diverse in its topography. 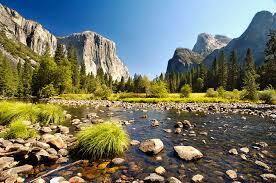 From the majestic mountains of Yosemite Valley, to the beautiful sandy beaches of Southern California…. 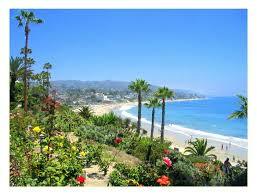 California has many features that attract visitors from around the world. 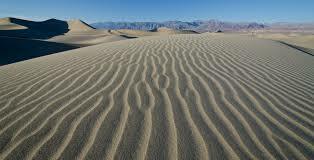 California contains the lowest and the highest points in the continental U.S. You can travel from 282 feet below sea level in Death Valley to 14,494-foot Mt. Whitney in less than a day. Invented in California: Apple computers, fortune cookies, blue jeans, the Barbie doll, and theme parks (Disneyland). The Golden Gate Bridge in San Francisco has enough steel wires in its cables to circle the earth at the equator 3.5 times. Palm trees are an icon for California, so I decided to use them. 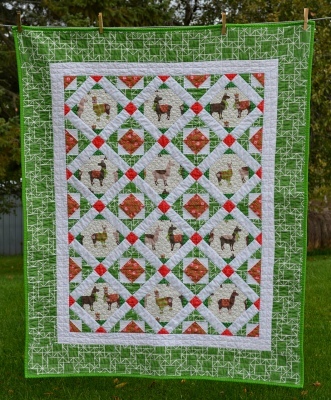 I also wanted to celebrate the variety of beautiful colors available in AMB’s line of solids, so I added a quilt made from them. 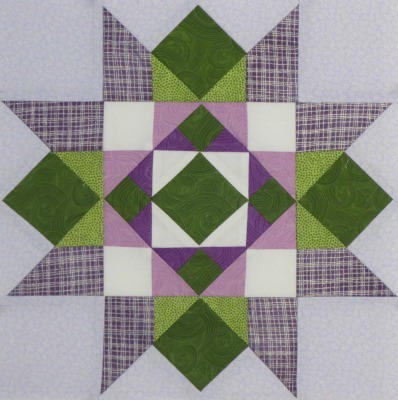 If you would like to make this block for yourself, you can find a pdf of the pattern here. 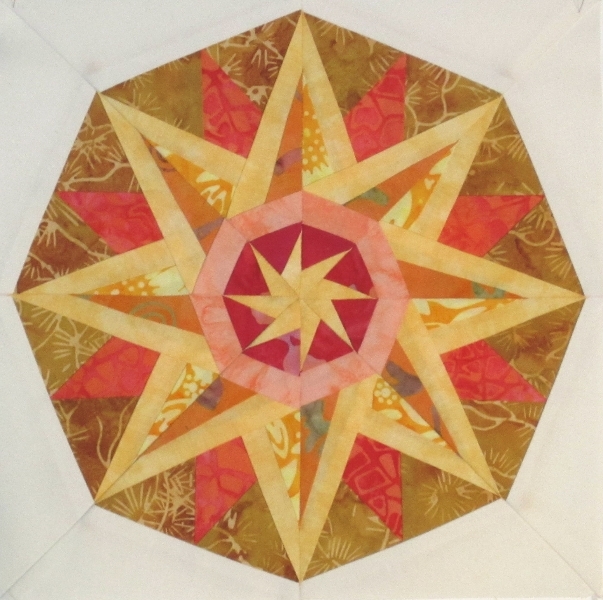 Make one copy of the pdf as a placement guideline for the applique pieces. Make a second copy of the pdf and either print or trace it onto the dull side of a sheet of freezer paper. 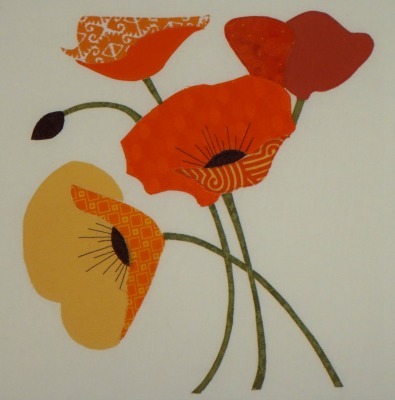 Cut out the individual pieces and iron them onto fabric and cut out the shapes. 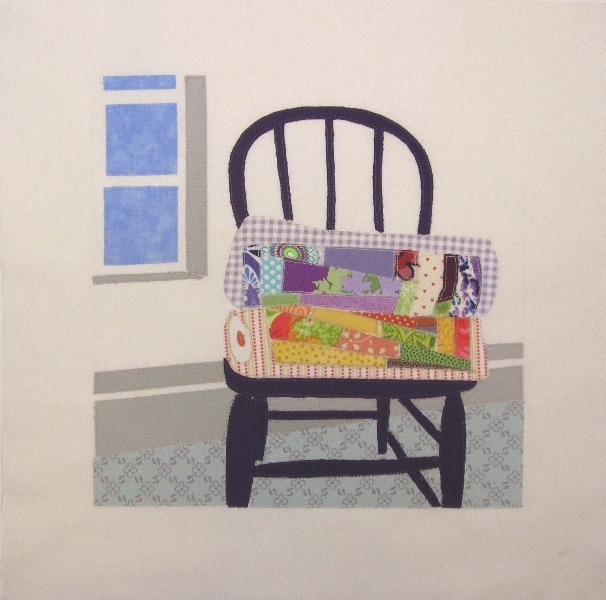 Affix them to the background with iron-on fusible. I lightly traced the shapes of the letters onto the background and then hand-embroidered on the outlines for the State name. 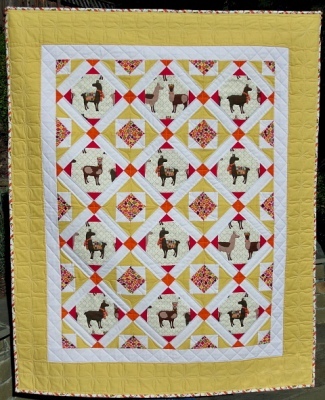 Thank you for visiting CaliQuilter on the Blog Tour today. I have some gifts to give away. 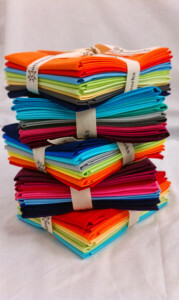 AMB is giving away a fat quarter stack of eight of their lovely solids. The person that wins the fat quarter stack will also be receiving this brand new book just released by C&T Publishing. 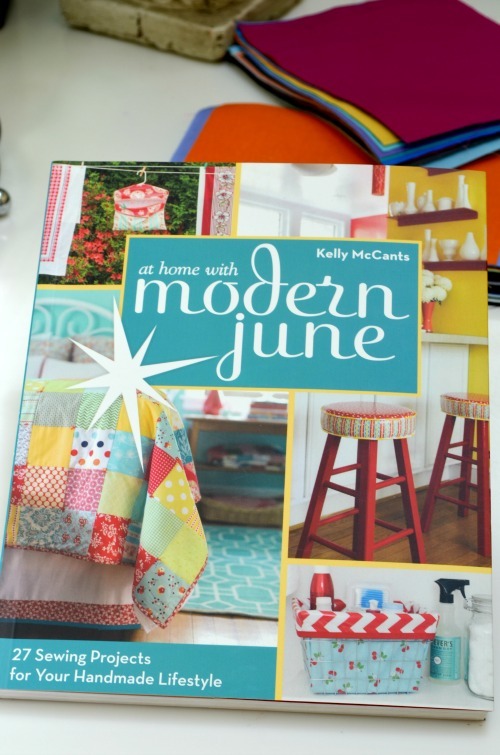 “At Home with Modern Jane,” is filled with creative projects. 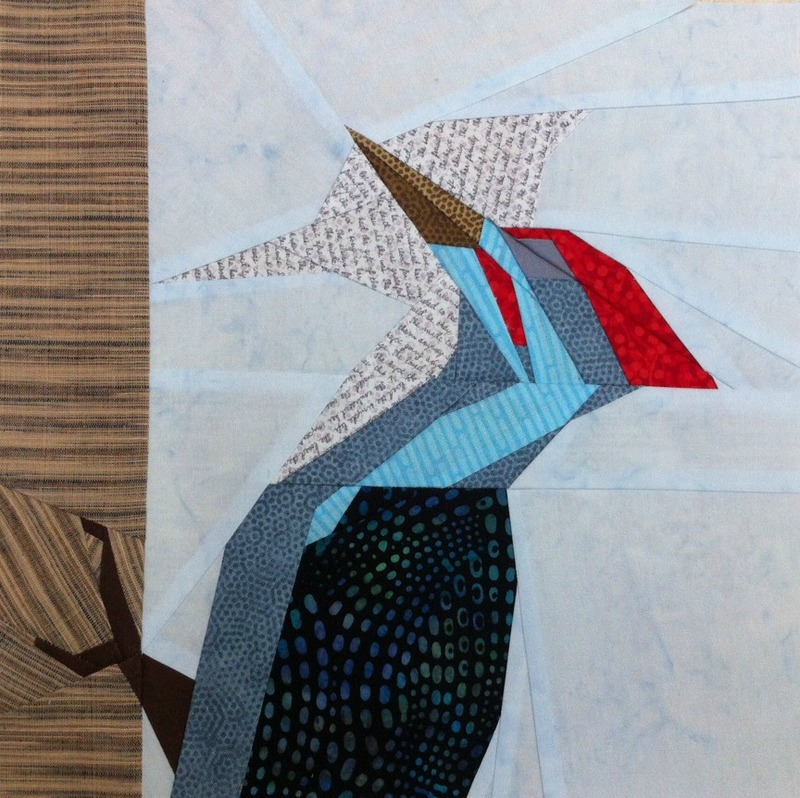 There will be lots of inspiration here for all that fabric coming your way! 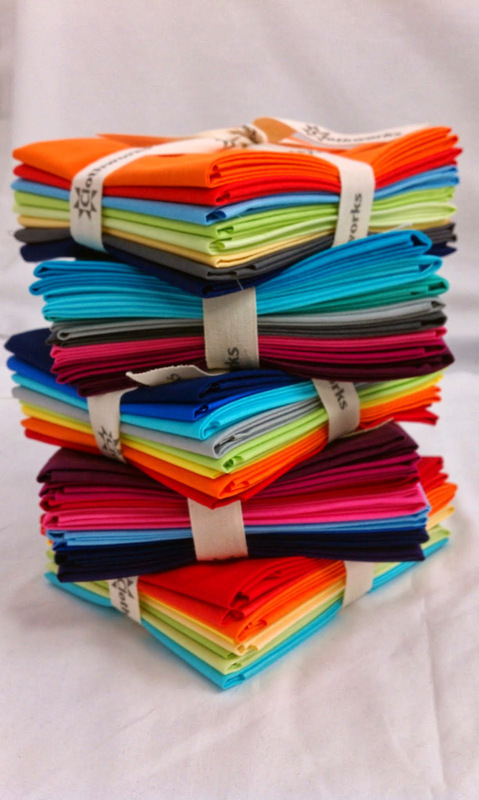 Two more people will also be chosen to receive 6″ x 7″ charms of all 50 colors of AMB fabric. I cut up the samples they sent me into two piles. (A few have small pieces cut from them for the license plate, so forgive the imperfection.) 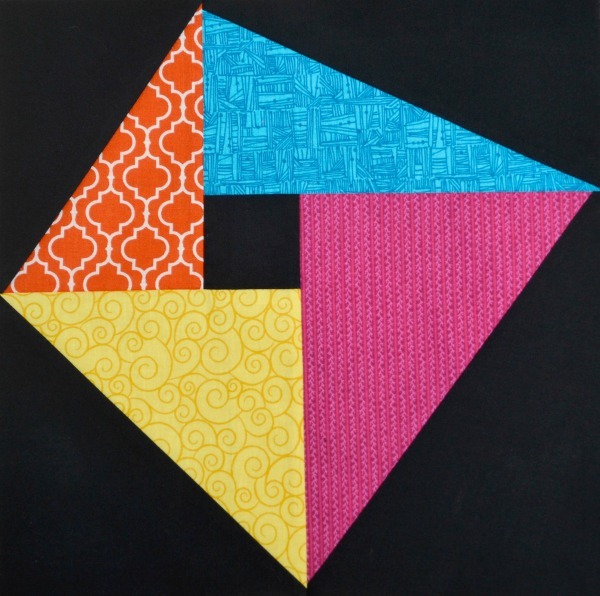 It is what quilters love best – free fabric! 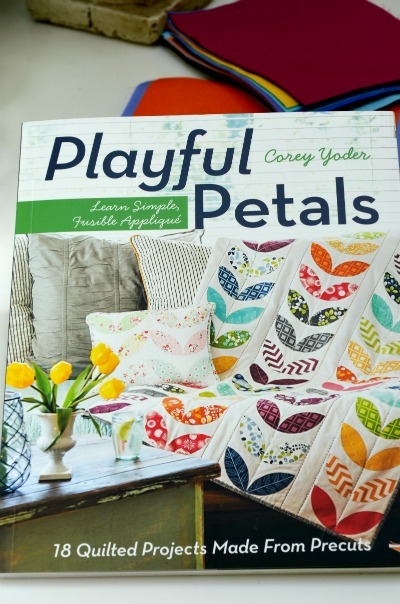 Those two people will also receive a copy of “Playful Petals” written by my friend, Cory Yoder (Little Miss Shabby). 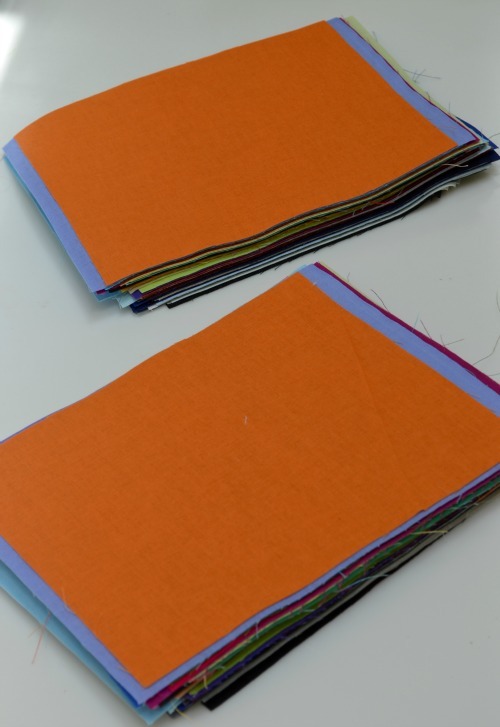 This book offers a number of applique projects using petal shapes, and the fabrics I am sending you would be perfect in these quilting projects! For a chance to win one of these gifts, leave me a comment about the Blog Tour. (My followers will get an extra entry.) Don’t forget to stop by the other blogs on the tour and enter their give-aways, too! I will pick the winners on Friday, June 13th, using the Random Number Generator tool. If you are a no-reply blogger, be sure to leave your email address in your comment. 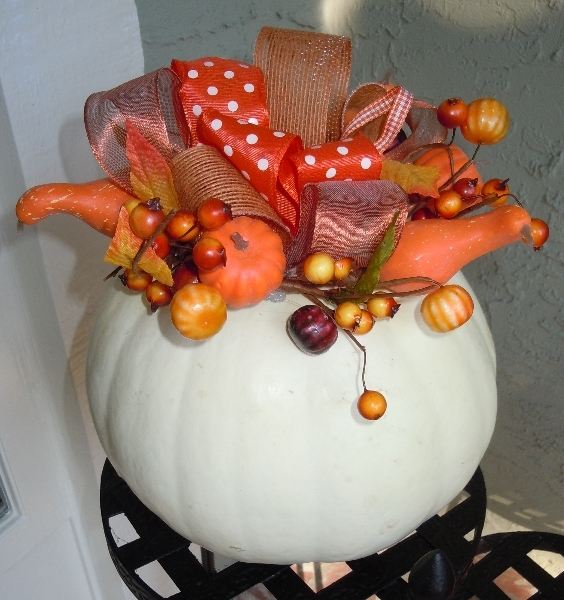 AMB Blog Tour on Monday and a Great Give-away! 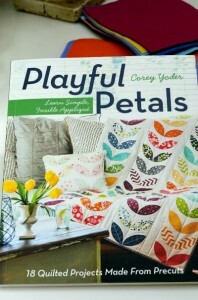 Those two people will also receive a copy of “Playful Petals” written by my friend, Cory Yoder (Little Miss Shabby). 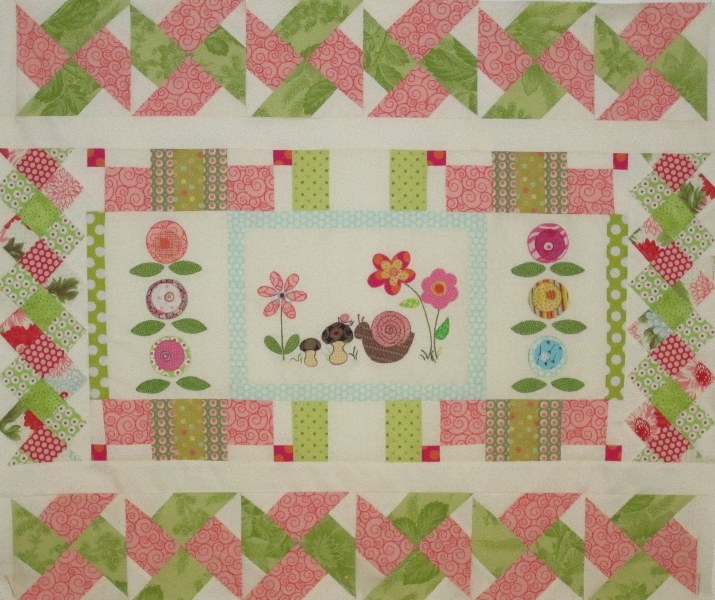 This book offers a number of applique projects using petal shapes, and the fabrics I am sending you would be perfect in these quilting projects. So don’t forget to drop by on Monday and leave a comment for the chance to win a fun gift from CaliQuilter! (My followers will be given one extra entry.) 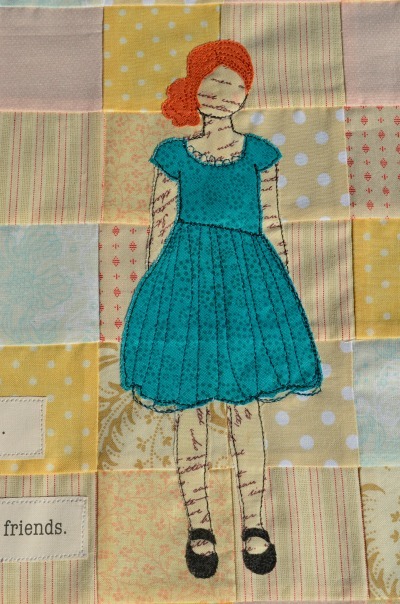 Be sure to visit the other blogs on the tour for the chance to win fabric and other great prizes.